"Beauty," William Shakespeare once wrote, "is bought by judgment of the eye." Like the painter Georgia O'Keefe I love the white blossoms of the Datura. While some may minimize them as only poisonous Jimson Weed, I see a beautiful flower. Flowers have personalities too. Cleric Henry Ward Beecher once observed, "Flowers have an expression of countenance as much as men or animals. 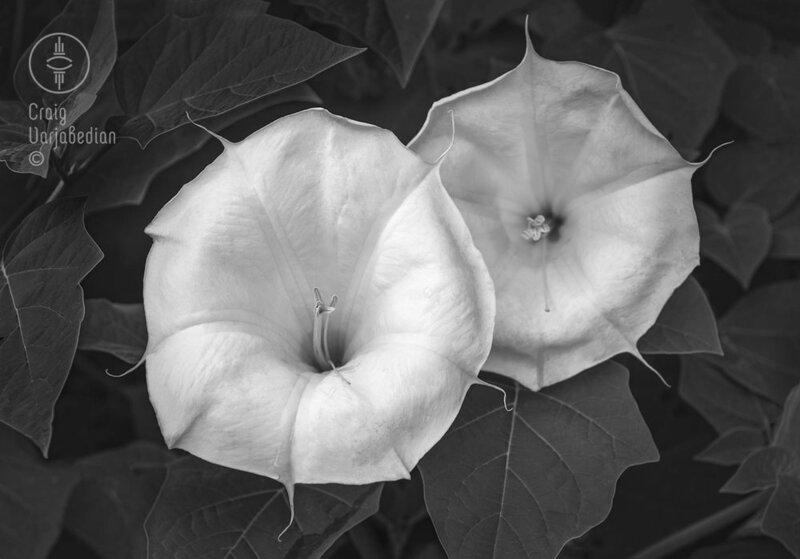 Some seem to smile; some have a sad expression; some are pensive and diffident; others again are plain, honest and upright..." Datura blossoms seem to me to be seductive in a way, like a femme fatale.